IHG® Rewards Club - eBooks - Jack P. Russell, Where Are You? Jack P. Russell, Where Are You? 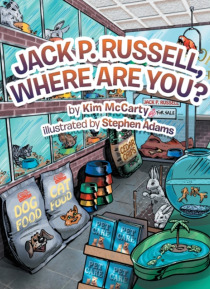 Its feeding time at Hollister Pet Shop and Jack is missing again!Kayla and Grandpa set off in search of the towns cleverest dog and master of disguise. He could be hiding just about anywhere.